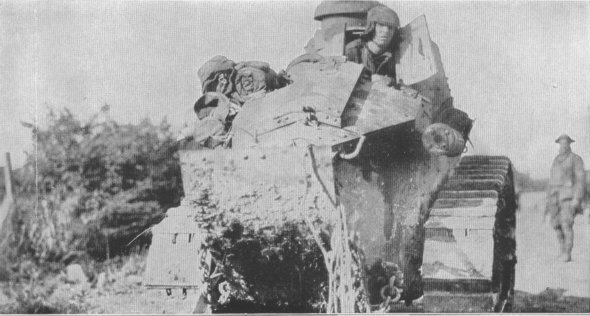 THE DOODLE-BUGThis photograph shows a tank advancing, as quickly as possible, through a French village to assist the doughboys in crossing the Vesle River. By September 1, 1918, one and a quarter million American soldiers were in France. SHOT FROM THE REARBeing shot from the rear while advancing--not retreating--was a rather unusual experience in war. 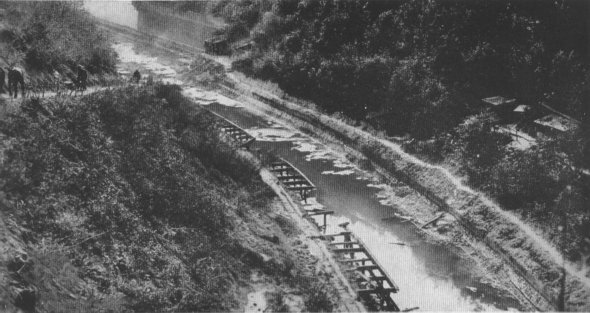 After the Americans had proceeded up the St. Quentin Canal, the Germans emerged from a tunnel and attacked them from the rear.